If you're a new comer to Ubuntu in 17.04 Zesty Zapus release, then welcome, this article is for you. 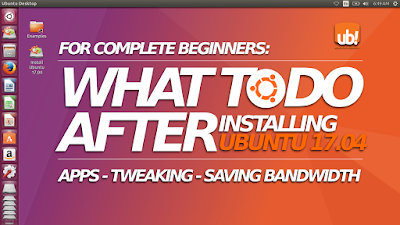 This introduces some options you can do once finished installing Ubuntu. There are 13 options listed you can choose, mainly about applications and some tweakings. You'll find some list about software replacements (if you come from Windows) and also educational apps. I hope this what-to-do article helps you to be a new Ubuntu user easier. Enjoy Ubuntu 17.04! Note: this article is about what-to-do-after-install, so if you want to download Ubuntu 17.04 family here's a complete links, and to install it here's a tutorial. Open your Terminal (Ctrl+Alt+T) and perform this command line. 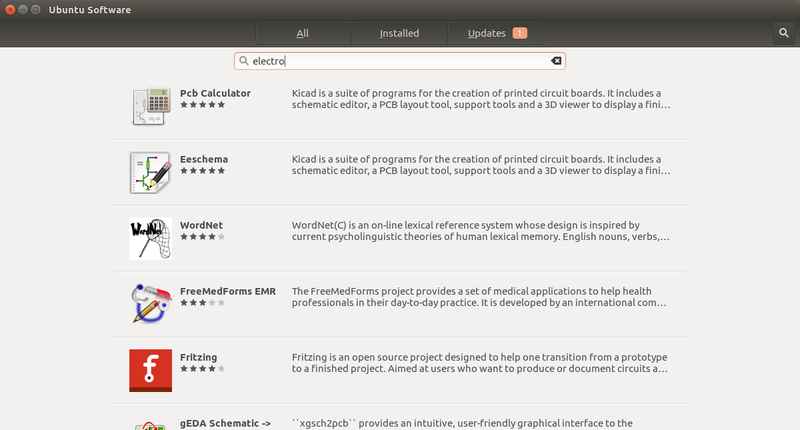 This will get "the index" of Ubuntu repository contents (not downloading any software package). 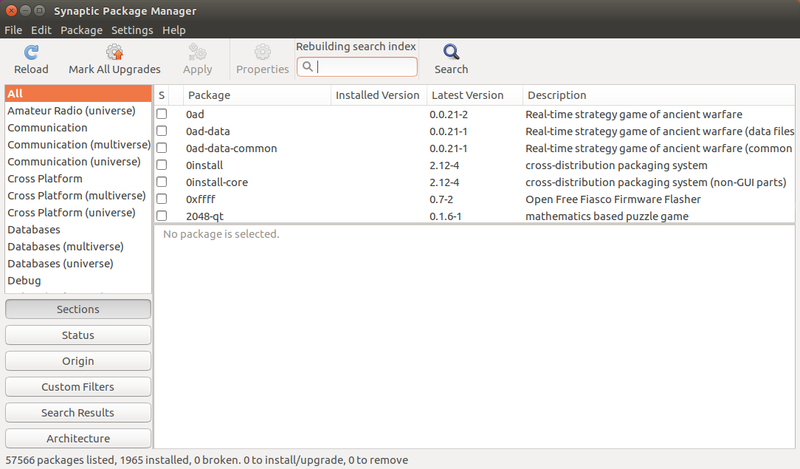 Once finished, you can do software install/search through APT or Ubuntu Software Center. Note: in case you need a beginner's guide to Ubuntu install/remove command lines, UbuntuBuzz has released free ebook for it. You can also read first part until fifth part of it separately. Dnscrypt is a tool "to escape" you from DNS spying while using internet. It encrypts all your DNS queries. It's very important to your privacy. It's recommended by PRISM Break and Privacy Tools Project. Once installed, dnscrypt enabled automatically. The name of this program is Indicator Multiload. It shows realtime up/down network speed on the top panel. Ubuntu has at least 3 daemons (aptd, unattended-upgrade, snapd) to download something from somewhere without user concerns. 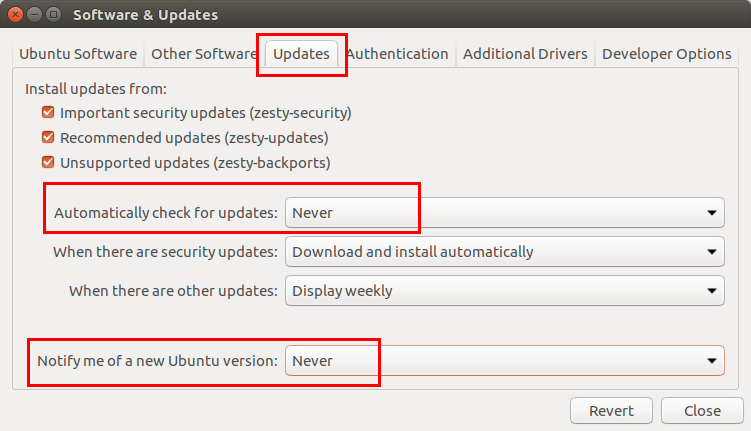 In a simplest sense, Ubuntu can do update & upgrade automatically and this may be dangerous for users with limited bandwidth. It's up to you to disable these feature. Go to desktop menu > look for "Software & Updates" > go to Updates tab > set "Never" to the field Automatically check for updates. Note: this is why I recommend Indicator Multiload so you can check anytime your download speed going wild without your concern. Image Block: many times I need to disable all images completely and it really saves my bandwidth a lot. Load from Cache: this saves bandwidth as well, forcing Firefox to load images from already-saved cache not re-download them from server. Google Search Link Fix: it allows you to copy the real URL of any Google search result. It removes the too-long-garbage URL and enables you right-click > Copy/Save Link As. For a writer like me, it's a mandatory. Tile View: it allows you to view two different tabs side-by-side. Again as a writer, it's needed especially when I compare my writing with the reference. DownThemAll! : the best cross-platform IDM-like download manager and it's free software. Task Manager: like my previous article, it allows you to monitor each of all tabs running how much MB of RAM they are using. 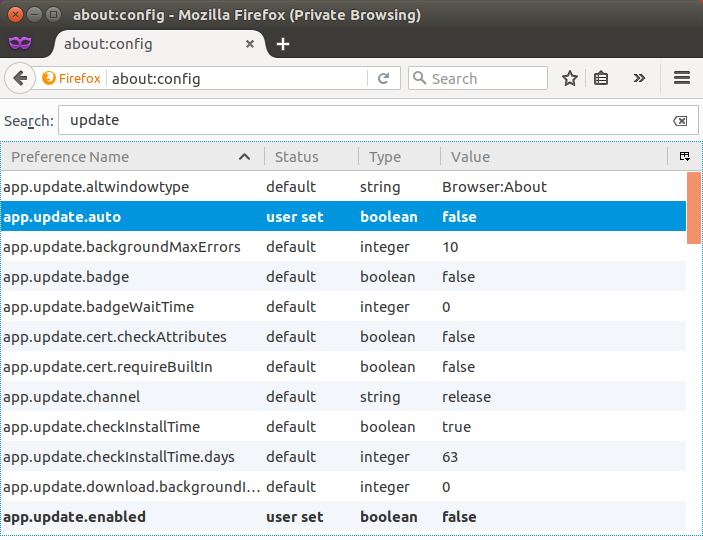 To install addon, press Ctrl+Shift+A on Firefox then do search for a name and press Install button on any addon you want. Make it to show full date and seconds. Go to Ubuntu System Settings > System > Time & Date > go to Clock tab > check on "Weekday", "Date and month", "Year", and "Seconds". 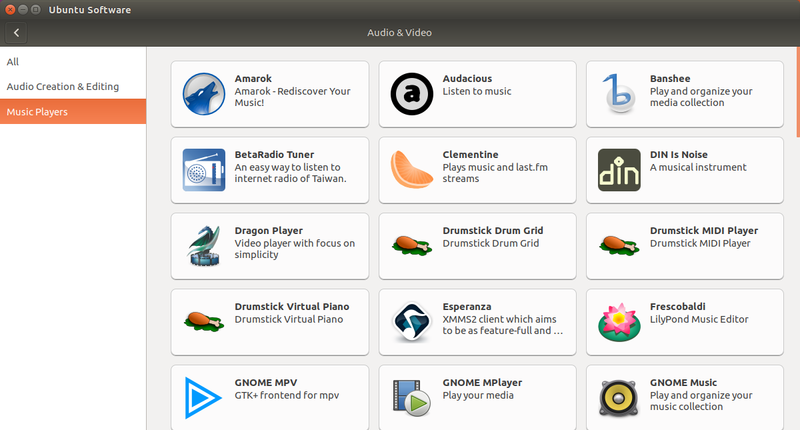 Synaptic is a full-control GUI package manager for Ubuntu. It's needed when you find USC is not enough. Note that apt-xapian-index package is needed to enable Synaptic search bar. 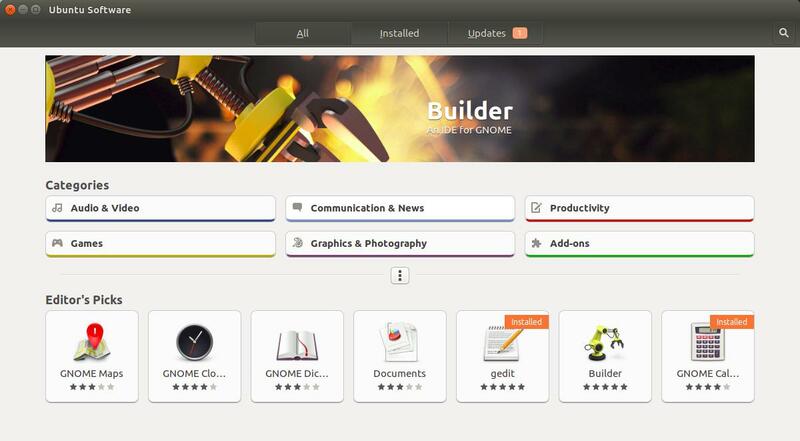 In case you decided not to install Synaptic, you can have an adventure with Ubuntu Software Center (USC). Ubuntu provides more than 50000 packages in repo covering all your daily needs and you can explore them via USC. 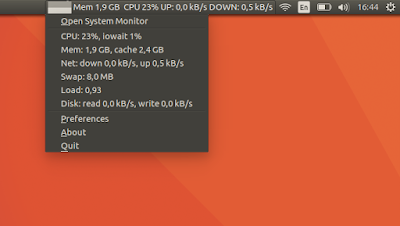 Default Ubuntu Desktop can play free/libre format like OGG audio and WEBM video. If you need to play MP3/FLV, then you need to install support for them manually. Among other solutions, VLC is the best. If you're moving from Windows to Ubuntu, you'll need app replacements. Here some free software for common use. GIMP (2.8.20), Inkscape (0.92.1), Krita (3.1.2), Shutter (0.93.1). Respectively, they're replacing Photoshop, CorelDRAW, Clip Studio, and ScreenshotCaptor. Midori & Iridium. They're replacing Opera and Google Chrome. To install Iridium, follow previous tutorial. Flowblade. It's replacing Windows Movie Maker. SimpleScreenRecorder (0.3.8). It's a surprise SSR finally came to official repo in 17.04. Before 17.04, Ubuntu users should install SSR from an external PPA. In case you want to customize your desktop, Unity Tweak Tool is a program specially created for it. It handles almost all customization including themes and panel. You can, for example, move the left panel to bottom. If you installed Ubuntu for another one's computers, perhaps those are used for educational purposes at schools or universities. If so, then Ubuntu supplies many educational apps for kids, elementary students, and later. 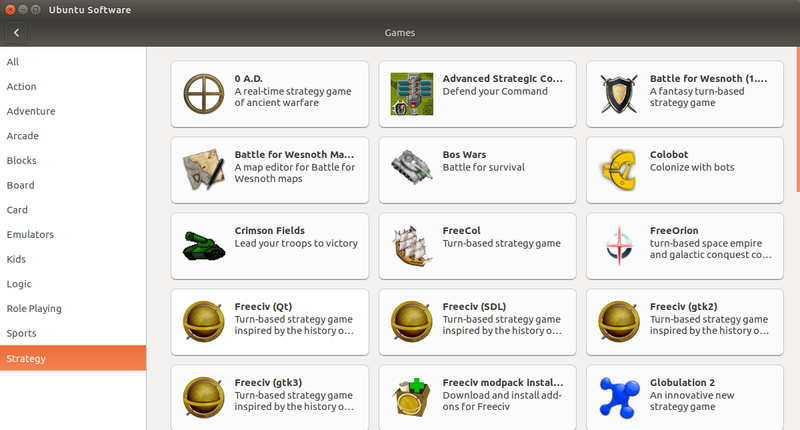 You'll find FSF's list of educational free software useful.